In the world of casino gaming, and poker specifically, there are a couple of players that have been able to distinguish themselves in their styles of playing and of course, their earnings. One of such great poker players is Antonio Esfandiari. When you talk about the magician in the poker world, there is just one person that comes to mind; only Antonio Esfandiari. 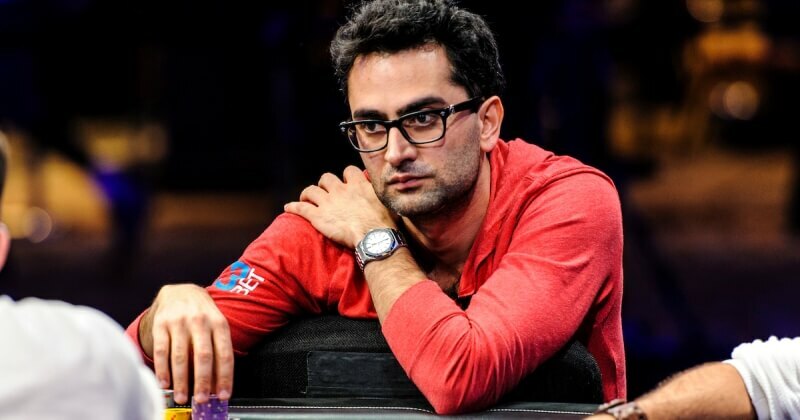 So who is Antonio Esfandiari? What is worth knowing about him? This page has been dedicated to him and we will explore the life and exploit of this great poker player of all the time. Who else can perform like a magician if not the magician himself? Popularly known as ‘The Magician’, Antonio Esfandiari is one of the most fascinating players in the world of poker. He was born as Amir Esfandiari on the 8th of December, 1978 in Tehran, Iran. He is a professional poker player and a former professional magician. Antonio was popularly known for his sophisticated chip tricks and he has become a mega superstar in the community of poker gaming. He was originally from Iran, Tehran, and later moved to San Jose, California, US with his family in the year 1988. Antonio could barely speak the English language when he first started school in the United State but within the period of six months, he has learnt the language to a large extent. He later graduated from Del Mar High School in the year 1997. While growing up, Antonio Esfandiari was a perfect model student until he got to 12th grade. Prior to his 12th grade, he was always punctual at school and very dedicated to his study. However, he became a changed person immediately he got to the 12th grade in school. From this point, he became deeply involved in partying. He left home at the age of 17 when he started having issues with his father on his party lifestyle and soon got his own apartment, which he paid for while waiting tables. He got heavily involved in party and soon, his apartment became a party center. His flair for party strongly affected his last semester in high school and this reflected in his result. While waiting tables as a waiter, Antonio Esfandiari had his first contact with magic. Between the tables, he saw a bartender perform some magic trick and he was greatly impressed. Immediately, he went to a nearby magic shop to ask how the trick was performed. The owner of the magic shop was glad to share with him and showed him the technique behind the magic. At this point, Antonio got hooked in magic and he was later to become a full time magician. He began to show his magical skills as a waiter, performing gigs for tips. Within a short time, he left his job as a waiter and went into ‘full time magic work’. At the early age of nineteen, he changed his name from Amir to Antonio which was born out of the desire to become a magician. He strongly believed that the name, Antonio is more mystical when compared to Amir, as a magician. When he started working as a magician, Antonio was raking in between $300 and $400 per hour performing magic. During this period, Antonio Esfandiari had a professional poker player as a roommate. On a fateful day, his roommate requested that Antonio tried his hand at poker game. Although he was too young and inexperienced at the game of poker, he went ahead to win some money during his first tournament. This was a turning point in the career of Antonio the magician; he got hooked to poker game. So in addition to making rabbits vanish as a professional magician, he started making money disappear as a professional poker player. Antonio Esfandiari got his first break into poker game when he was performing as a magician. He was invited to play at a game of Texas Hold’em and this kick-started his career as a professional poker player. He also has a younger brother who is a poker player. Later on in his career, Antonio Esfandiari would be heard talking about how both professions (magician and poker player) complemented each other. According to him, being a magician taught him how to measure human behaviour. This knowledge and skills have greatly helped him when it comes to moving cards. About the time he was getting involved in high stakes poker game, he came across a fellow player named Phil Laak. Both Antonio and Laak shared a table at the WSOP and Antonio was busy impressing other players with his magic and tricks. However, Laak seemed to have other ideas as he was seriously trying to figure out Antonio’s tricks which really irritated Antonio. Antonio moved to another table to avoid Laak but Laak followed him to the new table. Eventually, the duo got talking and soon became fast friends. Laak, also known as Unabomber, took the friendship a step further by coming around to Bay Area to pay Antonio Esfandiari a visit. By the time Laak was leaving, they had agreed to share the space together. Interestingly, both poker players went ahead to become famous in the world of poker gaming. By 2002, Antonio has made a name for himself at the 49’er Gold Rush Bonanza of the WPT. During the tournament, Antonio became famous for his ability to get under the skin of Phil Hellmuth and ultimately placed third for $44,000. This was the first most important tournament win for Antonio, but within a short time, he started raking in many wins. A year after the WPT, he attained the final table of $2,000 No-Limit Hold ‘em poker tournament during the WSOP of 2003. In 2004, Antonio Esfandiari made a landmark impact in poker history during the L.A. Poker Classic in Los Angeles. Antonio the magician performed some interesting poker magic and beat out a total of 382 professional poker players, including Vinny Vinh in the heads-up play, and won the huge $1.4 million USD first place prize. At this time, Antonio was the youngest poker player to ever win the WPT event. At the end of the game, he bought an Armani suit and a Dodge Viper with the tournament prize, and ever since then, he has gone ahead to become famous and a household name within the poker circuit. Months after this, Antonio Esfandiari made another grand win, and this time, it was at the WSOP. He grandly beat Phil Nguyen at the $2,000 Pot-Limit Event and took home an exquisite gold bracelet and a winning of $184,860. Around this time, Antonio made an important decision about his residence; he decided to move permanently to Las Vegas, the heart of casino gaming. Since the move, he has become a huge part of the poker world. It is important to mention that Antonio Esfandiari was the face of the now defunct poker site – Ultimate Poker. In the year 2004, Antonio won about $1.4 million USD and his first ever WPT (World Poker Tour) title during the L.A Poker Classic. He went ahead to win his first WSP (World Series of Poker) bracelet a couple of months later at the Pot-Limit Texas Hold’em game. He appeared during the second and third seasons of Poker Superstars Invitational Tournament. Although he performed poorly at the previous year’s tournament by finishing in the last place, he was able to redeem himself by taking the second place finish during the third season. He also appeared in each season of NBC’s Poker After Dark, and GNS Series High Stakes Poker. On the 17th of April, 2008, Antonio made the final table during the 2008 PokerStar.com EPT Grand Final, finishing in the eighth place at Monte Carlo. He won a whopping $266,004 (€168,000). In July of 2009, Antonio Esfandiari made his biggest finish up to date at the World Series of Poker Main Event, finishing at 24th place of the day 8 of the tournament. He won a total of $352,832 at the end of the game. In the year 2010, Antonio won his second WPT title by winning the World Poker Tour Doyle Brunson Five Diamond World for a huge $870,000. On the 3rd of July, 2012, he went ahead to win the biggest buy-in tournament in the whole of poker history. He won the Big One for One Drop, at the $1,000,000 buy-in tournament event. He played with 47 other professional players and he beat all of them during the game. At the end of the game, he earned a total of $18,346,673 which happened to be the largest cash prize in poker history. In the same year, during the 2012 World Series of Poker Europe, Antonio Esfandiari won his 3rd bracelet in the €1,100 No-Limit Hold ‘em event, beating Remi Bollengier heads up to win a total of €126,207. He also placed fourth during the 2013 World Series of Poker in the One Drop High Roller tournament, which is the successor to the Big One Drop One he had won the previous year. During the 2013 game, Antonio earned a total of $1,433,438. By 2017, Antonio Esfandiari’s total live poker tournament winnings have exceeded $27,600,000. He is ranked number 14 on the Global Poker Index. On the 10th January of 2016, Antonio was debarred from the 2016 PokerStars Caribbean Adventure Main Event $5,300 after doing a gross act. He urinated in a bottle due to a prop bet he made with Bill Perkins. *The ‘E’ after a year means bracelets won during the World Series of Poker Europe. Antonio co-starred with his friends, Phil Laak in the television show ‘I Bet You, on the MOJO HD. He was also the face of the World Poker Tour’s Poker Made Millionaire. He appeared in the Season 7 opening of the Entourage. He also made an appearance as an undercover officer in a movie titled Freelancers. The movie starred other actors including Curtis ’50 Cent Jackson, and Robert De Niro. In the January of 2014, Antonio started shooting a web reality series with the Ultimate Poker – Strip Magic. The web reality series features Antonio performing street magic during Las Vegas strips. He also granted some exclusive interviews during this period. The season 1 of the reality web series was unveiled in the March of 2014 through the YouTube channel, Youtube.com/UltimatePoker. In September of 2014, Antonio Esfandiari was matched up with Phil Laak, a fellow professional poker player on ‘Underground Poker’ which came up on air at the Discovery Channel as part of three part mini series titled ‘All in, All Night’. In addition to his several appearances on various poker TV shows, Antonio has won two different World Poker Tour championships and three different World Series of Poker bracelets in the course of his poker career. He won the Big One for One Drop in the year 2012 which was a $1,000,000 buy-in tournament aimed at adding value to the One Drop Foundation. At the time Antonio won in the event, he won the biggest single payout in all of tournament poker history with a total of $18,346,673. He has been ranked as number one for all-time tournament poker winnings. However the title was taken over by Daniel Negreanu in 2014 when he finished 2nd during the Big One for One Drop in 2014. In the year 2012, Antonio authored a book he titled ‘The Magician’s Secrets for Winning Tournaments’ on Insta Poker. The book was written on poker strategy game and it is available for devices that run on iOS. Antonio Esfandiari has sustained his very high profile image through the various books he authored. He has also appeared on different television series shows such as High Stakes Poker, as well as the National Heads-Up Poker Championship. Antonio is well known for his flashy lifestyle and incredible chip tricks. There is no doubting the fact that the Magician will continue to impress railbirds and competitors for many years to come. Antonio Esfandiari married his heartthrob, Amal Bounahra and they both welcomed their first child on the 7th of January 2015. Amal Bounahra is the daughter of poker professional, Badil Bob Bounahra. Currently, Esfandiari said he has no plan for more TV projects and no plan to commence his Twitch channel. He is more interested in living his life to the fullest with his family and also continues to make wave in the poker community. Antonio Esfandiari is no doubt the poker magician and he has made a fortune for himself in the world of poker. Having been at different tournaments and won several games, Antonia has definitely amassed some great wealth. So how has his skills and expertise impact on his net worth? The net worth of Antonio Esfandiari is estimated to be over $27 million and a huge part of this money was made from his all-time winnings in the course of his professional poker career. Antonio believes and engages bankroll management and he is of high opinion that other poker players and young millionaires should practice the same. According to Antonio, he has the plan to open a magic themed restaurant in the future. 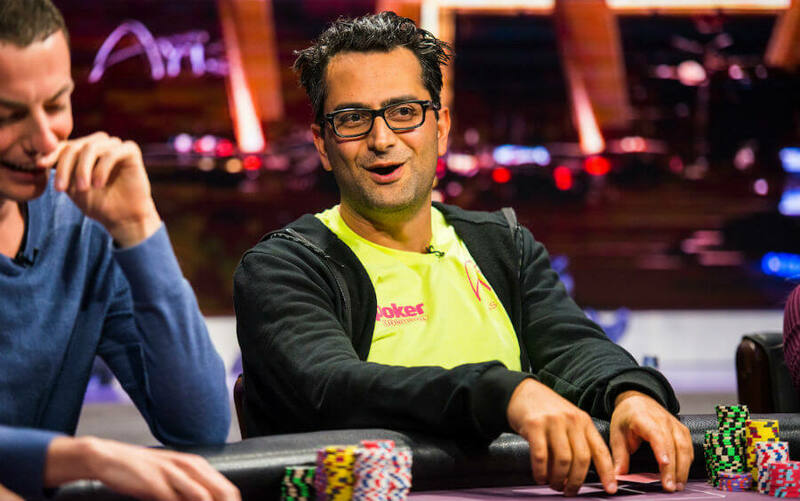 At the age of 40, Antonio Esfandiari is one of the youngest poker millionaires in the poker community and he is highly regarded among his peers. In his career as a professional poker player, he has won the prestigious poker bracelets three times and has also won other exceptional tournaments. Esfandiari loves partying and with the kind of money he has now, he is constantly having one lavish party or the other to attend. Apart from his love for party, Antonio is known to be a conservative poker player. He doesn’t live above board and he is a smart player when it comes to gambling. Antonio’s skills in poker games have positioned him as one of the most respected and feared poker stars in the gaming world. According to him, his skills as a magician have prepared him for the task of gauging the reactions and behaviours of other people. This has proven to be useful during his games on the tables. According to Antonio, his most memorable hand was the year he won his One Drop game. He revealed that at the game, when he ‘hit the king on the turn’, the shift that occurred in his life with that single card was beyond the money involved; it was a turning point in his life and his career as a professional poker player. Antonio’s life significantly changed after the winning and he went ahead to make a great impression and created a worthy name for himself in the world of poker. Esfandiari believed that the game of poker and magic have a lot in common; knowing the mind of your opponent and the audience is a thrilling gift that every player or magician crave. With his background as a magician, Antonio has developed the skill to read the mind of other people and gauge their probable moves. Antonio has never claimed to be the best in the world of poker but many of his fans and other poker enthusiasts regarded him as one of the best, if not the best at a poker table. According to Esfandiari, there are many other professional players he respected and mindful of when it comes to poker tournaments. He mentioned that the most difficult table game he has ever engaged in was at the One Drop tournament, in the year he won the game. On the first day of the game, he came face to face with other poker pro like Phil Ivey, Tom Marchese, Nick Schulman, Erik Seidel, and Ben Lamb, and they gave him a tough time during the game which made him to brace up for the remaining days. Antonio went ahead to win the game. When asked about who he will pick if he has the privilege to pick eight poker opponents for a 9-handed Sit ‘n’ Go game, his answer was quite unexpected. He mentioned Bill Clinton, Eminem, Barack Obama, William Rehnquist, Sam Harris, Bill Perkins, Clive Owen, Angelina Jolie, Antonio Esfandiari, with seat number in the order of their name appearances. He stated that he would have picked Abraham Lincoln also but just for the fact that he is dead. He went on to say that if ghosts could be allowed to play poker, he would gladly sit at a table with Lincoln.